Whether your athlete is returning from a broken bone, surgery or an ACL tear, our Certified Staff is experienced to make sure that your athlete not only gets back on the field or court, but gets back better than before! 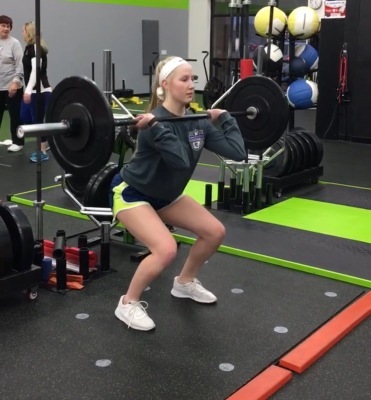 We work specifically with athletes to not only reduce the risk of a secondary injury, but to help them maximize their potential to return to their sport in the best shape possible! Physical Therapy is a critical part of an athletes return to health. But getting back on the field or court is another story! "Justin and his staff are caring and professional at the same time, and the positive results my patients have achieved are excellent!" Justin is the Head Trainer and Co-Owner of Movement Fitness. He has been working with athletes for more than 14 years. A former college football player, he has trained D1 College Athletes in football, soccer and swimming. He has worked extensively with jr. high and high school athletes as well athletes training to Return to Sport following ACL tears. 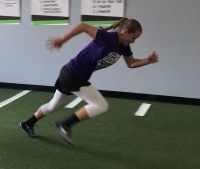 He specializes in speed and agility training as well as creating power in athletes to turn their strength into performance on the field or court. 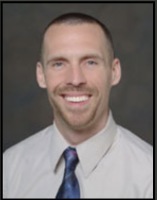 He is a Certified Strength and Conditioning Specialist, EXOS Performance Specialist, Certified Functional Strength Coach and Certified Speed and Agility Coach, Certified Weightlifting Performance Coach as well as Certified in the Functional Movement Screen.